American giant, Qualcomm has just launched a brand new Mobile Platform and the first one in its newly announced Snapdragon 700-series of Mobile Platforms. The Snapdragon 710, as it is called is Qualcomm’s attempt at bringing some of the most in-demand premium features from chipsets like the Snapdragon 845 into a new tier of smartphones. 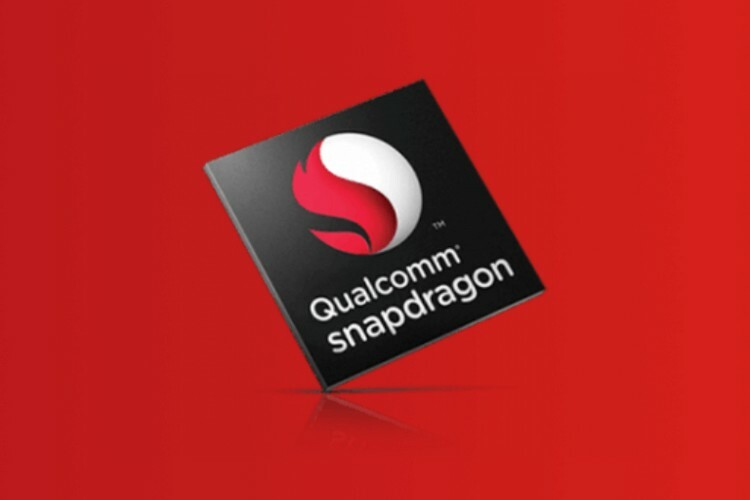 As is visible from the spec sheet to anyone who is even mildly acquainted with the various ins and outs of Qualcomm’s chipsets, the Snapdragon 710 comes with a ton of features that come very close to what the company offers in its current flagship Mobile Platform — the Snapdragon 845. The Snapdragon 710 comes with a dedicated multi-core AI engine that, according to Qualcomm, delivers up to 2x performance improvements in AI-based applications when compared to the Snapdragon 660. The Mobile Platform also uses heterogeneous computing using its big.LITTLE architecture that utilizes 2 high-powered Cortex-A75 cores, and 6 low-powered Cortex-A55 cores to run on-device AI applications quickly, and more efficiently. The Snapdragon 710 is the first Snapdragon processor (other than the Snapdragon 800-series) to feature the second-gen Spectra ISP. With the Spectra 250 ISP, the Snapdragon 710 can make full use of single 32MP sensors, or dual 20MP sensors. Plus, the ISP supports enhancements for low-light images. In layman terms, the new ISP should mean better photos in smartphones that make use of the Snapdragon 710. With the new Adreno 616 GPU, the Snapdragon 710 can do a lot of things that were, until now, reserved for the flagship Snapdragon 800-series of processors, including 4K HDR playback. The Snapdragon 710 with its Adreno 616 GPU will not only let smartphones playback 4K HDR content, but will be able to do it with a 40% reduction in power consumption, as compared to the Snapdragon 660, which is the next best thing. With the new X15 LTE modem, the Snapdragon 710 allows for much faster downlink and uplink speeds than the X12 model you’ll find in the Snapdragon 660. The X15 LTE modem will allow the Snapdragon 710 to achieve downlink speeds of up to 800Mbps and uplink speeds of up to 300Mbps. To put that in perspective, the Snapdragon 660 with its X12 LTE modem can achieve downlink speeds of 600Mbps and uplink of just 150Mbps. Obviously, this is not as fast as the Snapdragon 845, which, with its X20 LTE modem can achieve Gigabit downlink speeds, however, smartphones with the Snapdragon 710 will not only benefit from the new X15 modem but also the fact that the processor supports up to 4×4 MIMO for (what Qualcomm claims) up to 70% faster download speeds in weak connections. The processor also supports Bluetooth 5.0 and comes with support for Qualcomm TrueWireless Stereo Plus which allows for usage of truly wireless earphones that don’t have a wire between the left and the right earbuds. Obviously, with the smaller 10nm process (also the only chipset outside the Snapdragon 800-series to be built on a 10nm process), the Snapdragon 710 will offer a higher power efficiency than, say, the Snapdragon 660, which is built upon the older 14nm process. The chipset also supports Qualcomm Quick Charge 4+ technology, that (according to Qualcomm) will let users get a 50% battery charge in just 15 minutes. The Snapdragon 710 processor is already available for OEMs, and it’s just a matter of time before it is incorporated into smartphones. The company says that the Snapdragon 710 Mobile Platform will be found in devices launching towards the second quarter of 2018.